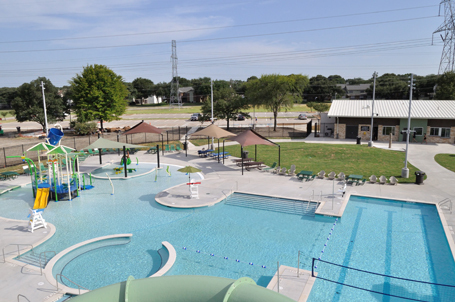 The original Jack Carter Pool, built in 1983, was shut down in 2013 due to mechanical deficiencies. In addition to the aging pool being functionally obsolete, a study was conducted by the Federal Emergency management Agency which showed that the pool’s current location was in a 100-year floodplain. 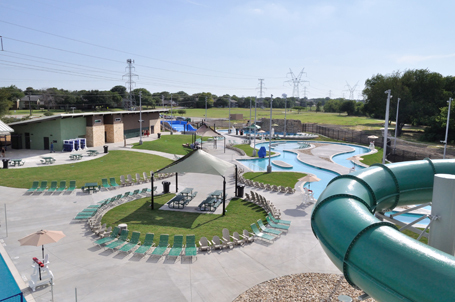 To overcome this challenge, the new pool was built in another part of the park, creating a waterpark oasis for children, teens and adults.